Many poker players dream about playing at the World Series of Poker but feel that their bankroll is insufficient for taking a shot at such a high level. 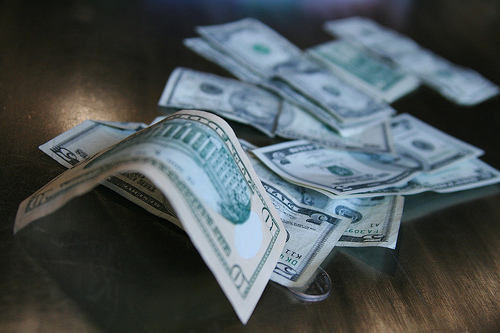 According to conservative bankroll management strategy, you ought to have at least a decent five-figure bankroll to compete for a coveted bracelet this summer. With that said, if you want to just play in just one, or perhaps a few tournaments or satellites and feel the unique atmosphere of the 50th Annual World Series of Poker this year, the number doesn’t have to be that large. Much like getting the best rates on your other investments, if you’ve worked hard to save up money for a poker bankroll and are now ready to put it to use, you want to be sure you get the greatest possible value. This article will recommend selected events from the list of 80 live tournaments and 9 online tournaments being held this summer at the WSOP. The recommendations have been divided into three bankroll levels: Beginner ($1,000 – $2,500), Intermediate ($2,500 – $5,000), and Advanced ($5,000 – $10,000). The Big 50 carries a $5,000,000 guaranteed prize pool and at least $1,000,000 for the winner with a buy-in of just $500. 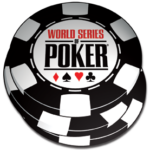 It will be one of the first events held during this year’s WSOP festivities, and it will attract many both recreational and professional players from all corners of the globe. What’s so special about this event is that the first buy-in will be rake-free! As such, tournament officials expect at least 10,000 entries in this tournament. The Big 50 will be held during the opening WSOP weekend (Thursday May 30th until Sunday June 2nd) with four starting flights. One re-entry per flight is permitted. With your $1,000 – $2,500 bankroll, you can register directly for this event, or you could also try satellites, which start with buy-ins as low as $70. The now-$400-buy-in Colossus is a classic and it’s the cheapest WSOP tournament that is guaranteed to attract an enormous number of players of various skill levels. Thus, even if you have only a basic understanding of poker strategy, you definitely have a chance to succeed here. The Colossus starts on June 26th with two starting flights. There are 16 levels on Day 1, and players start with 40,000 chips and blinds levels of 100/100. Each level will last 40 minutes. Beyond tournaments, you may wish to try playing satellites to higher buy-in events, $1/$3 cash games and the $150 Daily Deep Stack events. The latter of these are one-day events, guarantee lots of play due to a huge starting stack / big blind ratio, and run every day from May 28th until July 14th. The low-stakes cash games run 24/7 during the WSOP and tend to be far easier to beat than online cash games. The Mini Main Event is debuting at this year’s World Series of Poker. Given the start date (July 1st), which is just before the start of $10,000 Main Event, you can definitely expect a lot of action in this tournament, as many players will be tuning up for “the big one.” Like the Main Event, there is no re-entry allowed in this two-day tournament. Players start with 300 big blinds, and there will be twenty 30-minute levels during Day 1. 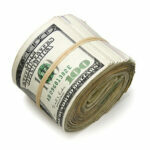 The beloved Millionaire Maker guarantees at least $1,000,000 for the winner. It begins on June 7th with two starting flights. One re-entry per flight is allowed, but we recommend firing just one or perhaps two bullets. It is a six-day event with 60-minutes levels. While the Big 50, Colossus, Mini Main Event, and Millionaire Maker are definitely going to guarantee a lot of fun and action, if your dream is to win a bracelet, with $2,500 – $5,000 bankroll you may wish to try niche variants events, in which there is a significantly bigger chance (at least mathematically speaking) to collect that coveted piece of jewelry. The number of participants in those events is usually under 1,000 or — at most — in the very low four-digit range. This event will start on July 9th. It is a three-day event, and competitors will receive a $500 bounty for each player they eliminate. There will be 60-minutes levels, and 25,000-chip starting stack with blinds of 50/100. One re-entry is allowed. As its name implies, the Marathon is a long, six-day event, which starts on June 10th. There is no re-entry allowed, and there is tons of time to pick your spots, with each level lasting a massive 100 minutes! Players will start with 26,200 in chips and blinds of 100/100. The $3,000 H.O.R.S.E. will test your skill at five different poker variants: Limit Hold’em, Omaha Hi-Lo 8 or Better, Razz, Seven Card Stud, and Seven Card Stud Hi-Lo 8 or Better. The multi-game mix ensures that there’s a lot of action to be had in this event. There is no re-entry allowed, and each level will last 60 minutes. Day 1 has been scheduled for July 14th, so it’s a niced mixed game alternative to playing in the $10,000 Main Event, especially as the latter is beyond your bankroll capabilities. Over and above the aforementioned tournaments, there are many other very appealing events scheduled to take place this summer in Las Vegas. Some of them are events in which a portion of the buy-in is allocated to charity, including the $1,111 The Little One For One Drop and the $500 Salute to Warriors. There are also nine online events you could play in and possibly win a bracelet at, with buy-ins starting at $500. 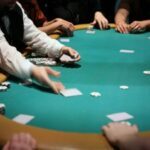 There’s also the $10,000 Short Deck event, where the popular poker variant will be contested for the first time at the WSOP, but we don’t recommend you try it for two main reasons: you shouldn’t be blowing your entire bankroll on one event, and this field is guaranteed to overwhelmingly feature high rollers with a lot of experience in this particular poker discipline. Your $10K would be better invested elsewhere. The jubilee 50th edition of the WSOP aims to attract yet another record-breaking crowd. It will be an amazing summer and you can certainly take part in it, even with a modest four-figure bankroll. Consider our recommendations and make plans to come out to Las Vegas this summer for a great time and a chance to win big. No – this isn’t another April Fools’ Day poker blog. Seriously. 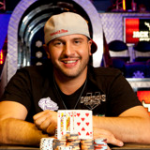 $1 million to enter a No-Limit Texas Hold’em poker tournament.